Android application provides many opportunities to earn free recharge for an android user. I have already share Ladooo android application which helps you to earn free recharge for your mobile and DTH recharge. 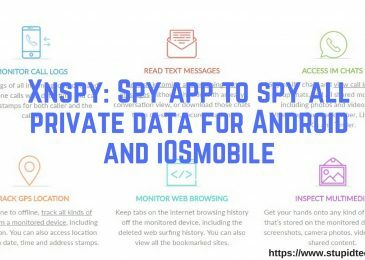 Today I have got another application which will help you to get instant recharge for your mobile by just spending couple of minutes with this application. 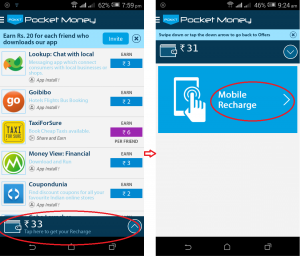 Let’s have a look over, how to earn free recharge using POCKET MONEY android application. 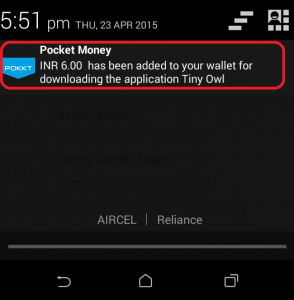 Download POCKET MONEY application and install it to start earning free recharge. This android application provides list of different android application which will helps us to get free recharge amount. 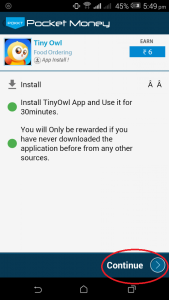 This application shows amount on right side of application link that you will receive after installing that application. 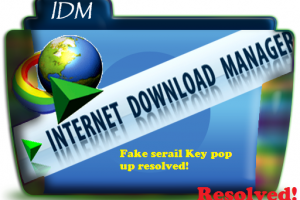 Click on application name to proceed with installation link as shown below. Once you click on this application name it will give instruction like, ‘Launch Lookup and Use it for 30sec’, etc. Just click on continue to go to application download page on Google play store. 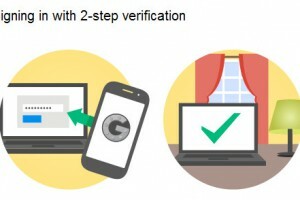 Once you are on Google play store click on install button as shown below to install that application in you Smartphone. 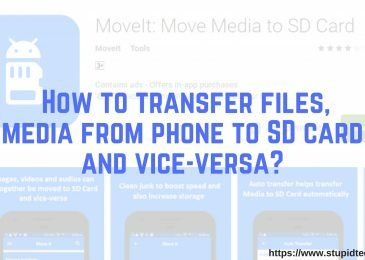 Now after installing respective application, launch it and use it for at least 30 sec so that amount will be credited in your pocket money application. 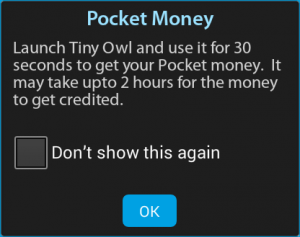 After using the application for 30 sec, amount will get credited in your POCKET MONEY Android application. 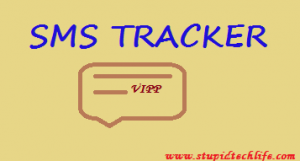 As soon as amount gets credited, you will receive notification regarding the same. Now let’s recharge your mobile. Try to download more number of applications so that your pocket money account gets sufficient balance to recharge your mobile. Now click on ‘Tap here to get your Recharge’ followed by ‘Mobile Recharge’ as shown below to proceed with recharge. 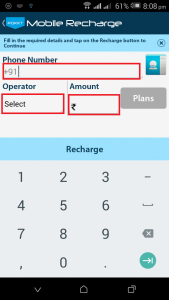 Enter your mobile number, amount and select your network provider from dropdown. With fraction of second you will get balance credited into your mobile. 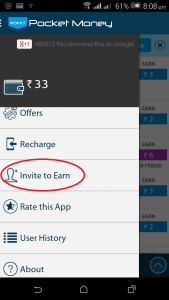 Second option to earn free recharge is using ‘Invite to Earn’ option available in POCKET MONEY application. 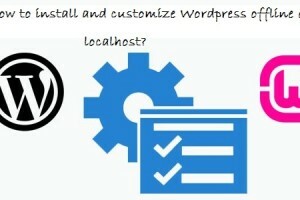 In first steps for each application installation, you will get maximum Rs. 6 to Rs. 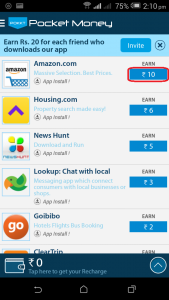 10 but using ‘Invite to Earn’ option you can earn directly Rs. 20 for per invite. 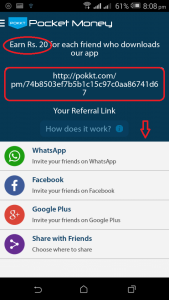 In this option you will get a referral link. Just click on below sharing option button to send referral link to your friends as shown in below image. You will earn Rs. 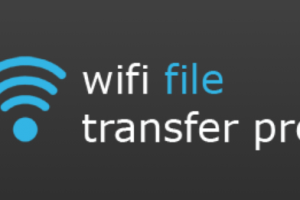 20 if you friend install that application using your referral link. THanks, I got this Helpful. Glad to know that you found this helpful. Stay tune for more such update. Thanks for coming by and appreciating my work. Thanks, for sharing such a nice & informative article. I use Reload for my mobile recharge. Easy to download from play store for android users. Thanks for adding related app for my readers. Hope they will make most from it. I have used this app for quite long time. Its a good app. But then I got less money or somehow I didn’t get any money from this app Then I switch to another app. I am very fond of free recharge apps & always looking for such apps in the market. These days I am using Ladooo free recharge app. Its quite good. I got instant money on installing it. Moreover I got extra bonus when I refer it to my friends. Its a great app. 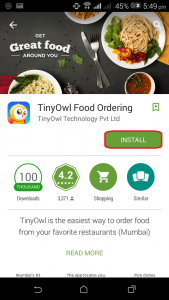 If you have information about more such app. Please share. Thanks for sharing the post. Good to know that you are fond of such application. 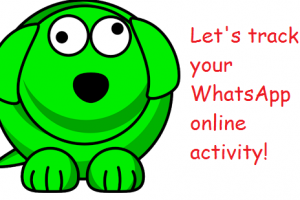 Do subscribe the blog to get instant notification for new such app. 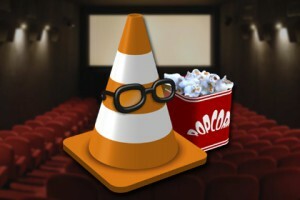 Thanks for coming by and adding your valuable comment. Thanks Shivkumar for sharing this android app to get free recharge for mobile. This android app really creates a great opportunity to earn free recharge for mobile while sitting at home.